I've decided to start another flower. 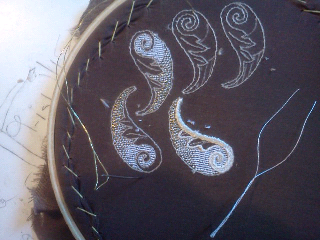 I'm plaing with ivory & gold, which I haven't done for a while. These are the big petals, and there will be 2 more types of petals as well. I'll post again, tomorrow. Until then, have a fabulous day!